Jeff McLean, Supervisor, Abby Dads Program, Abbotsford Community Services, who has been professionally involved with families for the past 15 years in both BC and Alberta. He and his wife, Kristi, have three children, aged 15, 13 and 11. He currently supervises both Abby Dads and Family Centre, and has worked directly with fathers for the past 10 years. His passion is to encourage men to take a risk and participate actively in the lives of their children. The Keeping in Touch Newsletter featured Jeff’s work in the September 2013 edition. Brian Russell is the Provincial Coordinator of Dad Central Ontario. He also supports fathers in his community through programs and services geared towards encouraging the bond between dads and kids. He is married with three daughters. Dads Central has produced innovative fathering support materials for use in programs including 14 Tools to Help Fathers Stay Connected to Their Partners (featured in the June 2014 Keeping in Touch Newsletter) and the 24 Hour Cribside Assistance Manual (featured in the March 2015 Keeping in Touch Newsletter). Patrick Dillon, Provincial Coordinator, Alberta Fatherhood Involvement Initiative, who has been working for children and families for over 25 years. He began his career as a Youth Worker in Vancouver, and has been in his current role since April, 2011. As Provincial Coordinator, he works with various organizations and fathers from across Alberta to encourage fathers to be involved with their families and communities. He is proud of the work that has been done and enjoys working with the many people that are passionate about building healthy families. Nobody’s Perfect Parenting Program is a community-based health promotion parenting education and support program for parents of children aged birth to age five, designed to meet the needs of parents who are young, single, socially or geographically isolated, or who have low income or limited formal education. The goal of the program is to improve parents’ capabilities to maintain and promote the health of their young children. Building on the understanding that dads who choose to be positively involved with their children can have a great impact on their children’s health and development, Nobody’s Perfect offers support for fathers to help build their parenting knowledge, skills and confidence. In offering training for dads, practitioners in the program have observed, “the traditional ways of engaging mums do not necessarily work for dads”. The webinar looks at how best can we communicate information to dads, and what is the best way to engage them and keep them coming back for more. Father Involvement is good for children: The research indicates that father involvement benefits children’s cognitive development, their school performance and their problem-solving abilities; it benefits their emotional development, with improvements in locus of control (less impulsive), more appropriate management of emotions, and self acceptance; it benefits their social development, in forming positive peer relations, demonstrating less aggression and more tolerance, and in demonstrating empathetic concern for others. Father Involvement contributes to a decrease in negative child development outcomes: The research evidence demonstrates that father involvement contributes positively in protecting children from delinquent and criminal behaviours; poverty; disruptive behaviours; depression (a recent Statistics Canada study showed teens were less likely to be depressed if they were close to their fathers); and incarceration and teen parenthood (adolescents who have involved fathers were 80% less likely to have been in jail and 75% less likely to become teen parents). 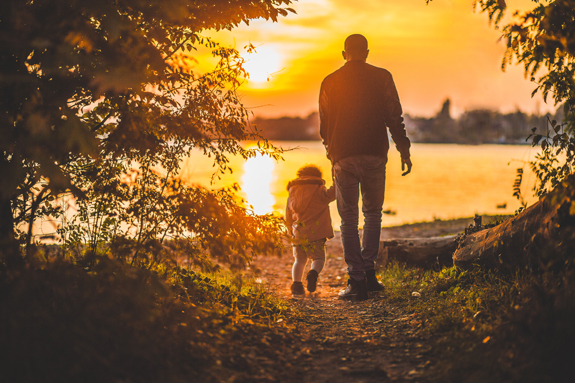 Father Involvement is good for relationships: Father involvement has been shown to lead to higher satisfaction for marriages; happier relationships; more connection with the family; and increased stability in relationships. Father Involvement is good for fathers: Research has demonstrated that father involvement leads to increased parental confidence and increased perception of the importance of parenting; better health for fathers; and is linked to productivity and community participation by fathers. What motivates dads? Tips and tricks for your program. Target Dads: Dads tend to assume that parenting group invitations are for mums, so it helps to put the dad’s name on the invitation or to make a personal phone call, and to host groups at a time when dads are more likely to be able to attend. Help Change Mums’ Expectations: Incorporate illustration stories that feature dads being proactive and contributing positively in parenting situations, and both allow and accept dads participation in group learning practice sessions. Rethink How the Group is Run: Incorporate icebreakers and take-home projects that are designed and worded in ways that will make both women and men feel comfortable and included. Men tend to feel most comfortable in a group when they feel they are needed, and their learning style tends to be by osmosis through experiential activity rather than through question and answer/conversational style. Dads are often more comfortable, and more likely to attend, if the word “course” is used in the descriptor rather than the word “group”. They also tend to be more responsive to a presentation style that “switches gears” often. Access the full Fireside Chat here.